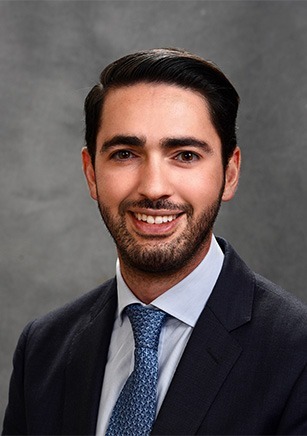 As a Vice President and Relationship Manager, Salvador is responsible for delivering the firm’s wealth management capabilities and resources that provide holistic solutions tailored to each client. For more than ten years, he has passionately developed his career through relationships and networks around the interface between investment analytics, financial technology, client partnerships, and the pursuit of successful financial advisory services. Salvador works with high net worth individuals, families, and foundations to identify and achieve their short and long-term goals. Mr. Bretts-Jamison came to MidFirst in 2018 from J.P. Morgan Private Bank where he was a Client Advisor in Arizona. Prior to J.P. Morgan, Salvador spent 7 years at BlackRock, where he held various business development positions in both New York and Mexico City. He was the Vice President and founding member of the Aladdin Business in Latin America responsible for relationship management and business development for BlackRock Solutions’ enterprise investment and risk management systems. He began his career at J.P. Morgan’s Private Bank for Latin America as a banking analyst in New York City. Salvador earned a Bachelor’s of Science in Foreign Service in International History with certificates in European and Latin American Studies from Georgetown University. He is fluent in English, Spanish, Portuguese, and French; as well as proficient in Python, Java, and SQL. He also holds the FINRA series 7 and 63 licenses. Salvador enjoys history, world travel, fitness, and contributing to the community through advocacy and art organizations. He currently serves on the Board of Directors of Ballet Arizona, the Monarch Council of the Desert Botanical Gardens, and the Greater Phoenix Chamber of Commerce Valley Young Professionals. Originally from both Southern and Baja California, he now lives in Phoenix with his husband and two Great Danes.